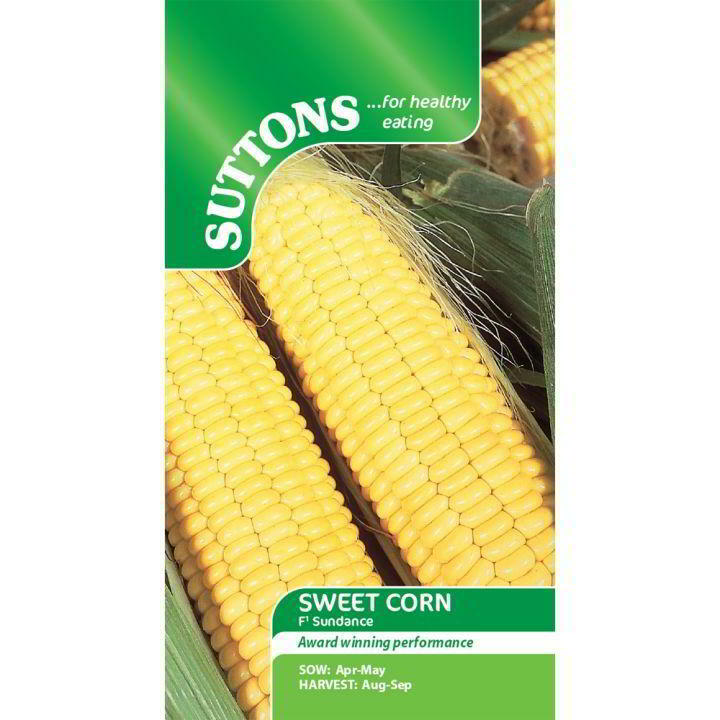 Considered as the best sweet corn for early maturing in our indifferent British summers and recommended by the Northern Horticultural Society. 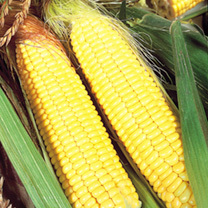 The cobs are often 18cm (7") long, packed with sweet creamy-yellow kernels. RHS Award of Garden Merit winner. 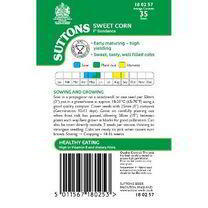 Recommended by the National Institute of Agricultural Botany. Great beginner variety. 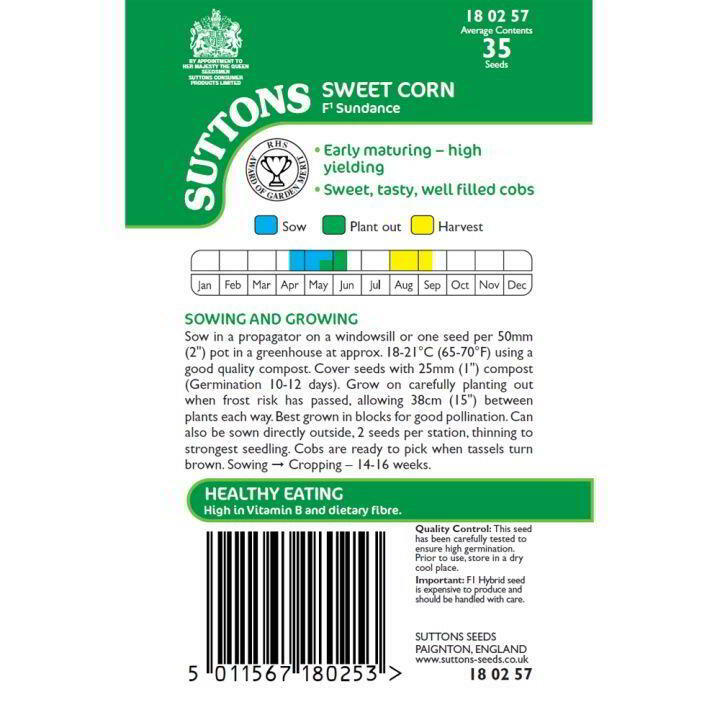 Suitable for organic growing. For the best flavour use immediately after harvesting the cobs. HEALTH BENEFIT: A source of fibre and vitamin B, also a gluten-free cereal. CULINARY TIP: Delicious cooked and eaten straight off the cob.